A liquid flowable fungicide that offers curative and preventative disease protection against major turf and ornamental diseases. Contains Chlorothalonil. 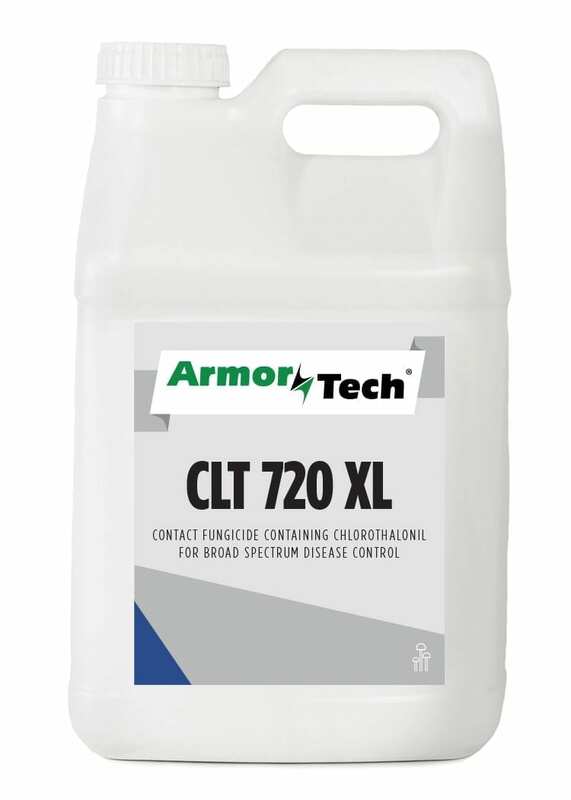 A liquid flowable fungicide, ArmorTech® CLT 720 Fungicide provides curative and preventative disease protection against major turf and ornamental diseases, including: Dollar Spot, Brown Patch, Algae, Leaf Spot, Anthracnose, Powdery Mildew, Leaf Blotch, Rusts, etc. CLT is an excellent tank mix partner with most other fungicides. Contact mode of action allows quick results and multi-site activity means no disease resistance with repeated use. Compare to Daconil Weatherstick®.